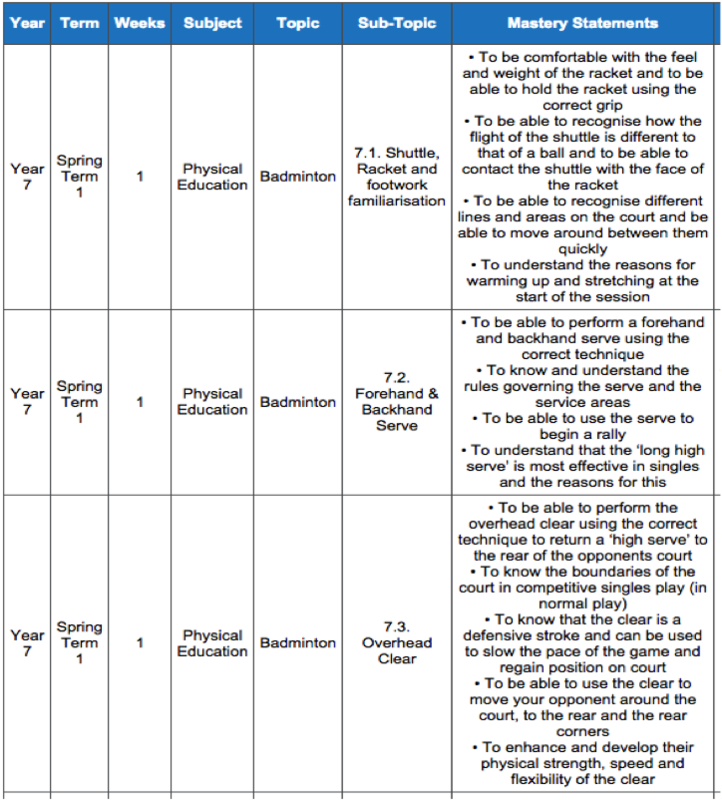 As a group of current and ex PE Teachers we have worked with a number of schools on various aspects of their PE curriculum, including resilience, assessment, evaluation, tactical skills, awareness, coaching, officiating and analysis, evaluating every aspect of our lessons and schemes so that a comprehensive and consistent level is maintained throughout each plan. 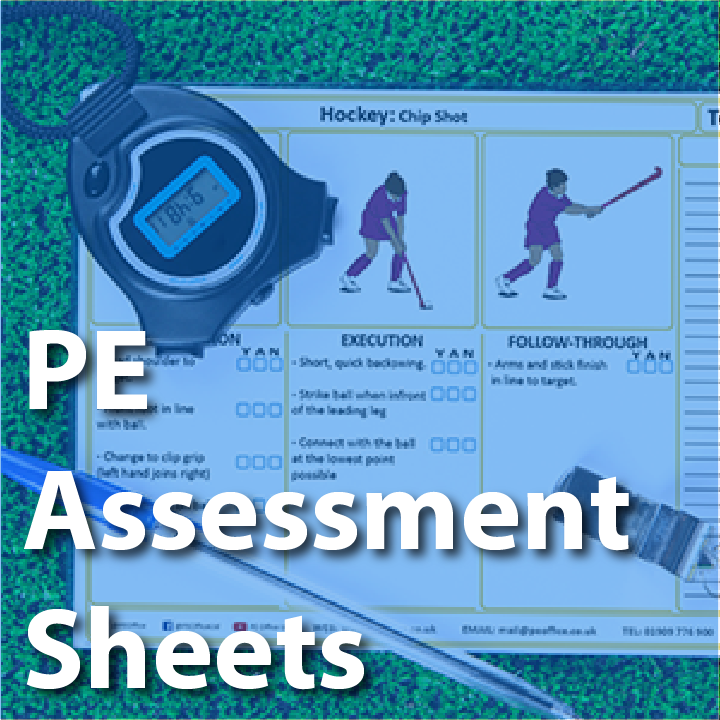 Welcome to the PE Office's Assessment without Levels page. We have been working with some national academy to incorporate our assessment software to enable life without levels in Physical Education alongside English, Maths and Science. 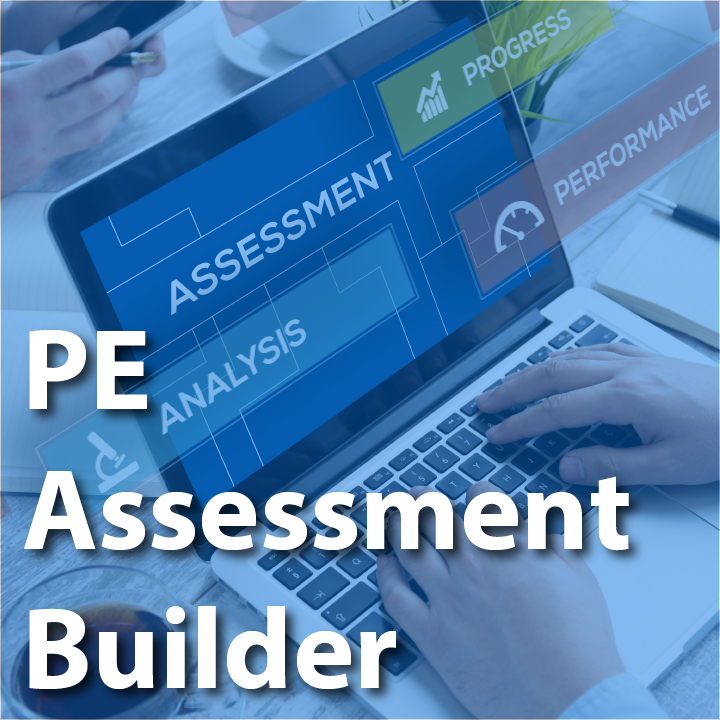 We have created a comprehensive tracking, reporting and monitoring e-portfolio PE Assessment tool for staff, students and parents that uses a range of editable mastery statements, Teaching and Learning Progress Grids, student expectation statements and school targets in Physical Education. 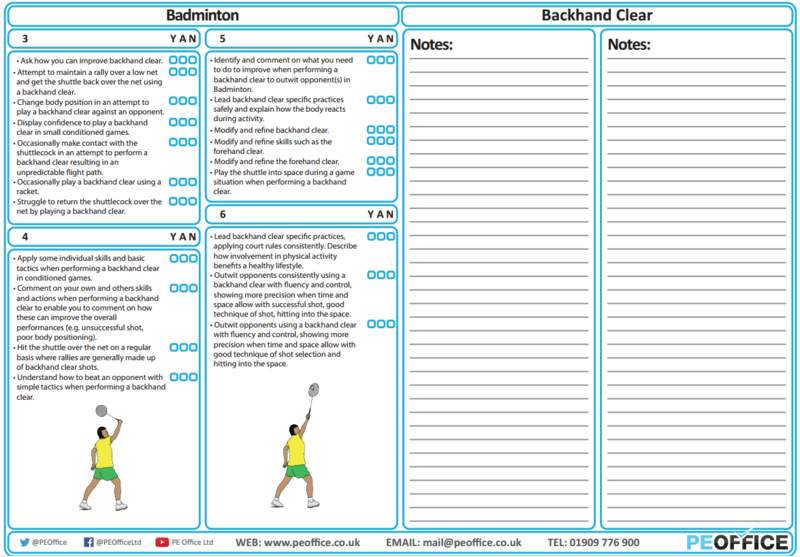 All of resources in line with the new national PE curriculum.Any type of assessment can be followed within our system. The system can be manipulated to meet the needs of groups, facilities or teaching specialties. Every sporting area has master statements. 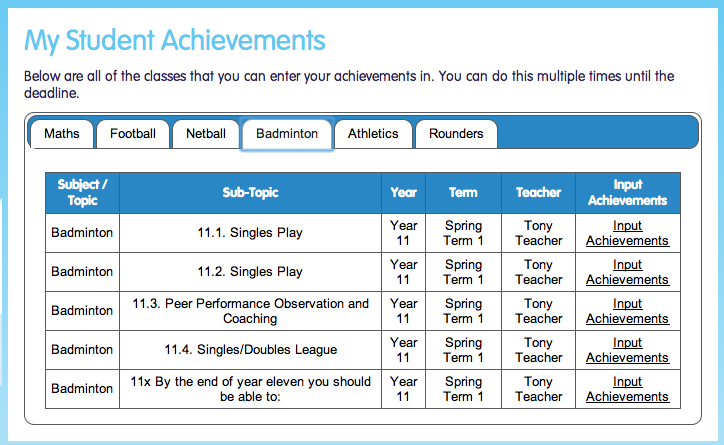 These can be moderated for each individual, target groups or for students throughout a key stage. You can also create your own master statements and insert them into the assessment platform to work alongisde ours if you wish. Homework (you can create quizzes, puzzles and tasks). Students also give feedback and comments upon their progress. 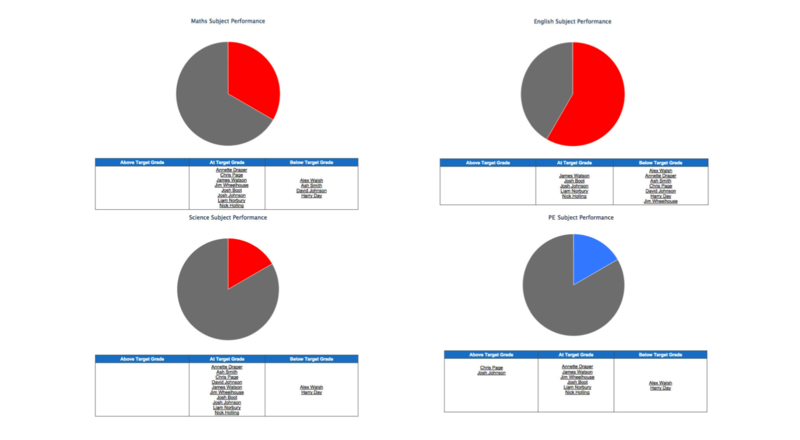 Our individual progress reports enable a comprehensive breakdown per subject, skill or topic per student, group or class. 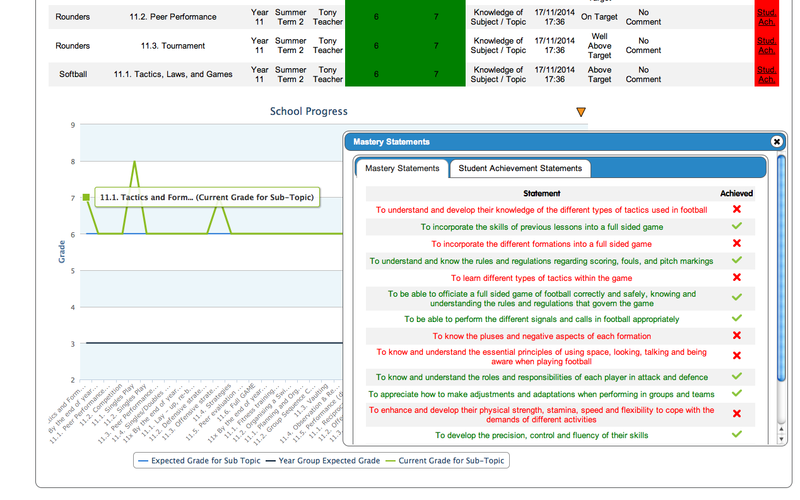 set expectation grades, aspiration grades and actual grades within the system. 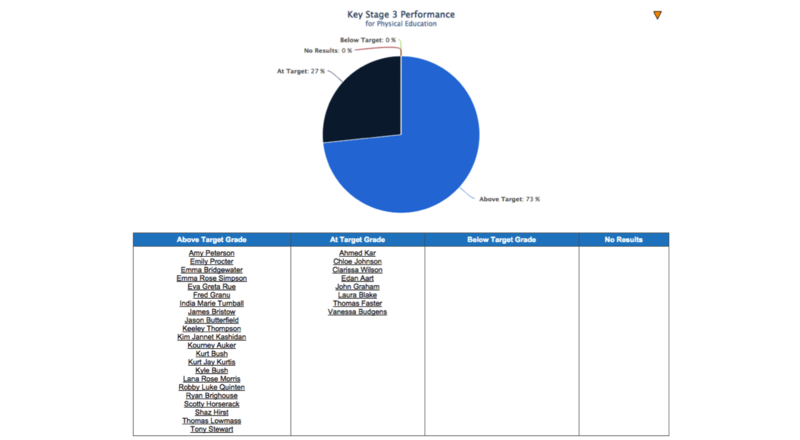 set unit, skill and objectives targets too within our platform. are instantly downloadable into inspection - ready reports. can be saved / downloaded into CSV files so they can be exported into third party software. 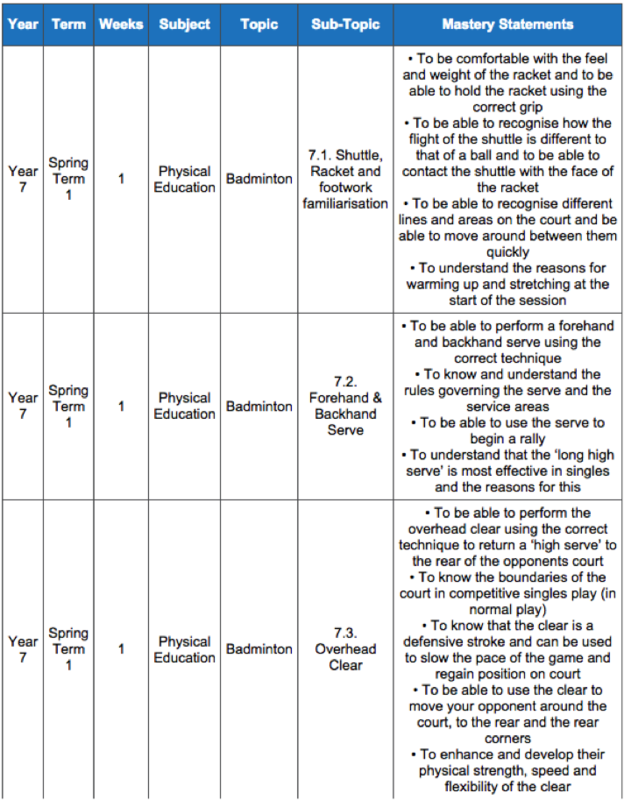 These are added in to the system so that the students can visually understand what is expected throughout the scheme and assessment process. Here the students see a comprehensive breakdown upon what is being taught on a week by week basis alongside what they should be learning / achieving. 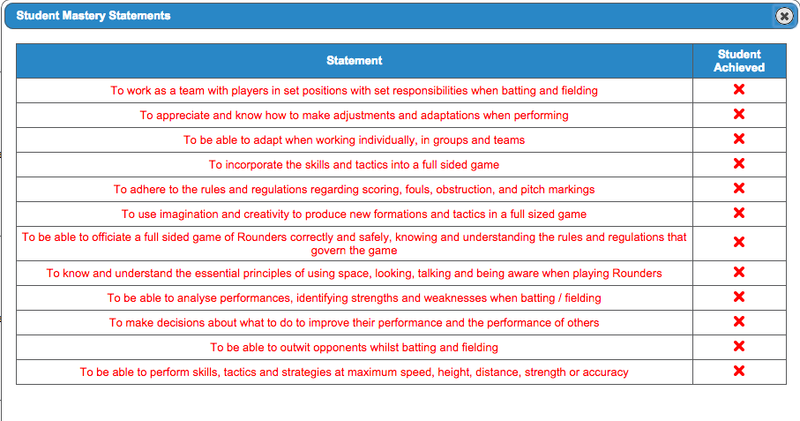 Here is the breakdown per subject, skill, topic or task (parental view). Like all of our resources these can be edited, moderated, and bespoke to meet the needs of the school, departments and assessment leads. You can have multiple groups in multiple areas being assessed in numerous ways (with deadlines for staff and release dates). 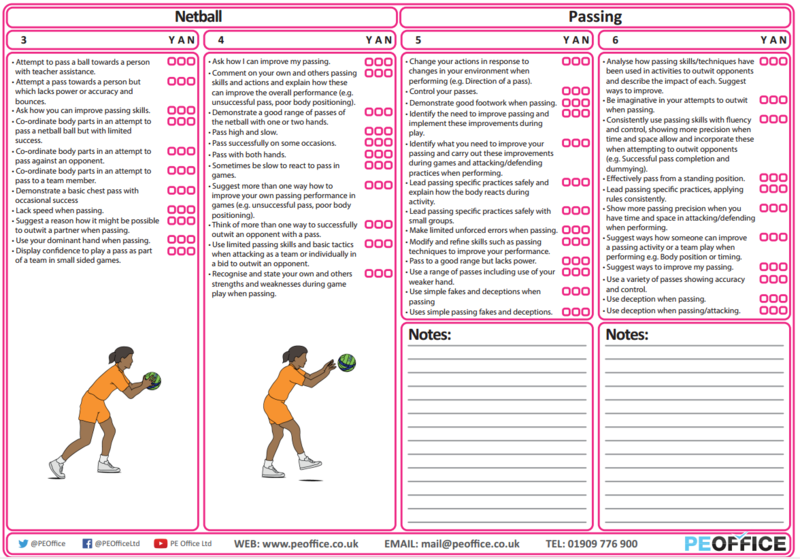 The whole simplicity of the system enables any PE teacher, admin staff or heads of department to set, track, monitor and view students progress. The lessons, drills and schemes of work all correspond to the learning and the assessment software. Or you could simply create and add your own assessment strategy into our software. 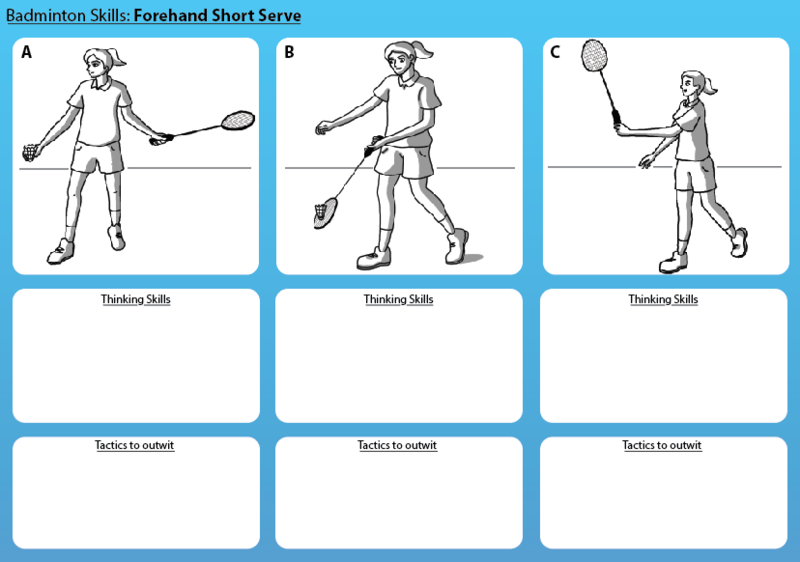 These resources match our online assessment package which comes free of charge. The packages we sell allow the user to moderate, update and change any scheme of work and/ or lesson plan via the lesson builder. This process means our resources will always cater for lower or higher year/ class groups. Call us on 01909 776 900 for further assessment discussion or feel free to come into our office in Sheffield to arrange a comprehensive demonstration of this very unique package.